"The First Lady and the Obama daughters are on a private family trip to Colorado," Michelle Obama's spokeswoman, Katie McCormick-Lelyveld, confirmed in an e-mail. "The First Lady and several close family friends are chaperoning their children on a ski trip. 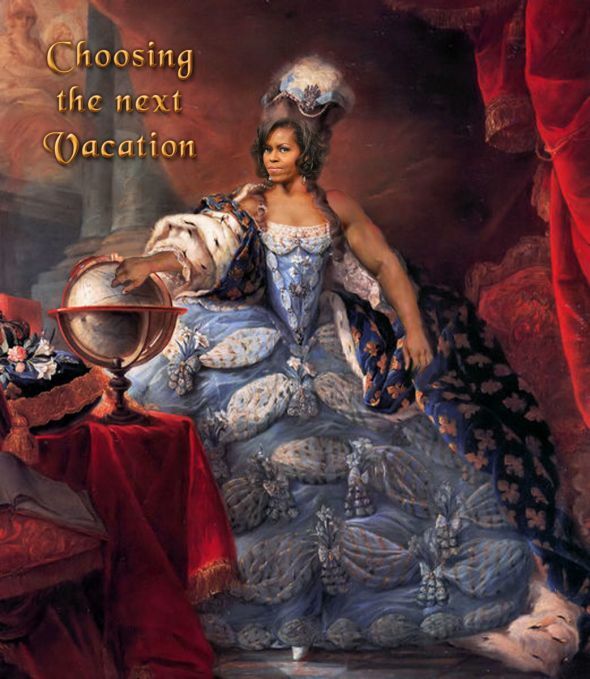 Personal expenses are being paid for by the Obamas." Her brotha's and sistah's in arms taking to the streets in Wisconsin, and Sasquatch and her young blow some more tax dollars on a skiing trip. 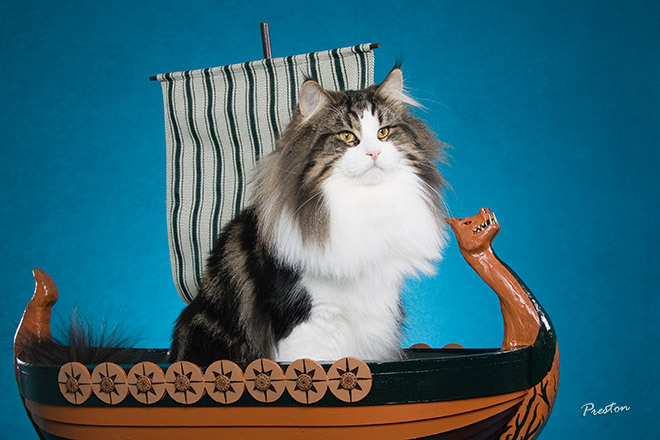 Pusseh is supreme benevolent commander of all now.
. Personal expenses are being paid for by the Obamas Interesting WaPo put that in the article. It will be a huge bill for Meeshell's ice cream habit. ;) Or is it french fries? Michelle Obama took her daughters to Ski Liberty in Pennsylvania last season. That was Malia and Sashas first ski trip. President Obama reportedly is not a skier. Not far from Camp David. Also not a very big place. More like a hill than a mountain. I bet the Secret Service had to close some slopes for the First Family. She (Michelle) will return to London in late May when she joins her husband on an official state visit to Britain, a trip the White House announced Thursday. Honestly, how DUMB do they think we are? Oh boy, where are the pics? Michelle Obama on skis should be every bit as funny as Jon Carry windsurfing. Recall his “birthday”. Instead of having it at the WH, NO! He went back to his little sewer to scheme with his buddies he doesn't want you to see or others at the WH to see. Besides, could you really LOVE Michelle, 24/7 forever? Can you imagine how obnoxious she must be NOW? They deserve each other. They are true ntrash. They bring the ugly stereotype ALIVE. Everything about them wreaks of it. How they SPEND THEIR money, how they spend YOUR money and the cavalier attitude that motivates them dripping with HATRED for ALL that is decent and right. Normally, they would be transported on Government aircraft for security reasons. They would reimburse the government for price of First Class tickets for the same destination. Obama arrived Friday night for a weekend of skiing in Vail and Beaver Creek, according to local sources. A motorcade of about a dozen vehicles, including 15 state and local law enforcement officers, traveled from the Eagle County Regional Airport to Vail on Friday night, according to the Colorado State Patrol. Roads were temporarily blocked to make way for the motorcade in Eagle. The motorcade entered an underground garage beneath the Sebastian hotel in Vail Village shortly after 9:30 p.m. Meanwhile, Vice President Joe Biden is spending the Presidents Day holiday weekend in the Florida Keys. The White House says Biden and his wife traveled to Key Largo on Thursday night. The couple will remain in the Upper Keys through Monday. MObama should remember to pack plenty of stuffing behind her in case she falls. Ahh... Nevermind. She comes equipped with all the extra padding anyone would need. For the best in Colorado vacations, stay at The Sebastian - Vail and enjoy Vail’s newest boutique slopeside hotel. In the heart of the Vail Village, The Sebastian is welcoming and pulsing with life. Theres Bloom Spa, Frost Bar, Market for nibbles, our visionary Block 16 restaurant. Theres a mountain-view pool, hot tubs and a roaring fire pit. Base Camp offers ski-in ski-out access from Vail’s Vista Bahn lift, just at the foot of Vail Mountain. Our ski valets will help you into warm ski boots and out onto the mountain. As your place in the mountains, The Sebastian is the Vail you love with a dazzling new twist..